Polymer matrix composites are used extensively across a wide range of industries, making the design and development of effective manufacturing processes of great importance. Manufacturing techniques for polymer matrix composites (PMCs) provides an authoritative review of the different technologies employed in the manufacture of this class of composite. Following an introduction to composites and manufacturing processes, part one reviews the manufacturing of short fiber and nanoparticle based polymer matrix composites, with injection and compression molding examined in depth. Thermoplastic processing is the focus of part two. Sheet forming, fabric thermostamping, filament winding and continuous fiber reinforced profiles are investigated. Part three reviews thermoset processing. A survey of resin transfer molding follows, including vacuum-assisted and compression resin transfer molding. The pultrusion process is then considered, before the book concludes with an investigation into autoclave and out-of-autoclave curing processes in polymer matrix composites. 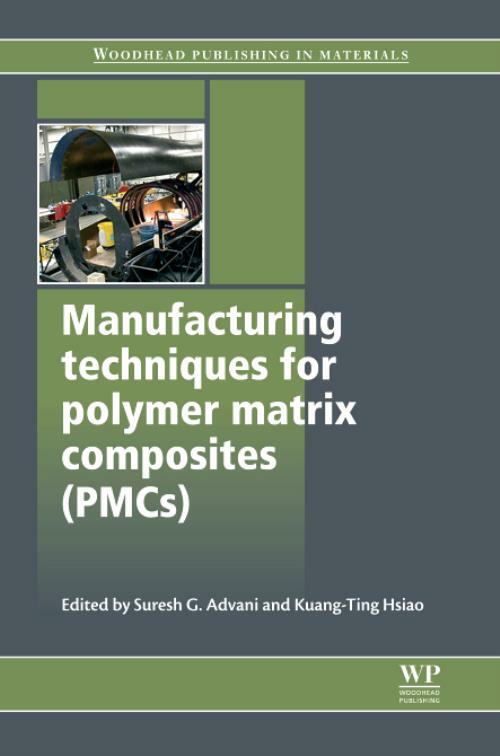 With its distinguished editors and international team of expert contributors, Manufacturing techniques for polymer matrix composites (PMCs) is an essential guide for engineers and scientists working in the field of polymer matrix composites. Advani, Suresh GSuresh Advani is Professor of Mechanical Engineering and Associate Director of the Center for Composite Materials at the University of Delaware, USA. Hsiao, Kuang-TingKuang-Ting Hsiao is Associate Professor of Mechanical Engineering at the University of South Alabama, USA.